Our technical engineering solutions are based on the over 50 years of experience we carry within our different divisions: Cogeim, Mabo, Glasscoat & Consito. In addition to developing and manufacturing process system and equipment in the evaporation anf filtration fields, we also manufacture reactors and special equipment, for example first-of-a-kind reactors, made also in exotic materials. Our staff develops both tailor-made and economical reactor solutions to meet customer needs for both process and mechanical engineering. Our solutions have been appreciated by multiple international companies for many years. Going from pharmaceutical and food industries to fibers, polymers, agro-chemicals, plastics, oleo and petrochemi- cals as well as for the environmental industry. Our process engineers, supported by computational fluid dynamics CFD and our mechanical engineers design the reactors to be fabricated in one of our shops located in Dalmine (BG) Italy or Noventa di Piave (VE) Italy. Polyacrylonitrile, more commonly known as pan, precursor for carbon fiber: special continuous steam reactor. 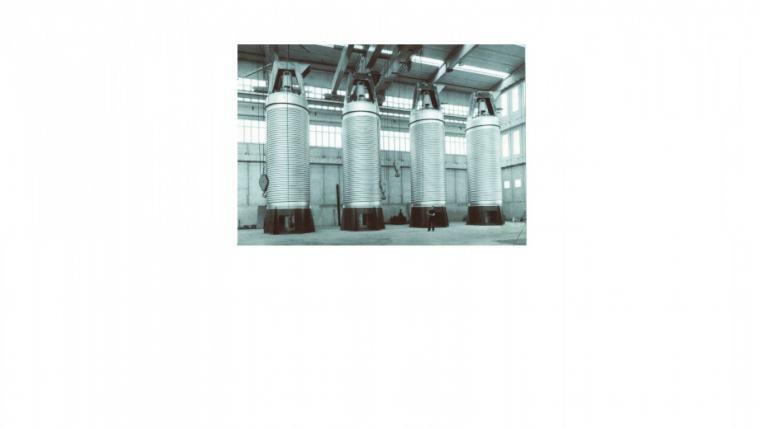 Wet oxidation: 100 bar pressure continuous reactor made in exotic material working with both oxygen or air.